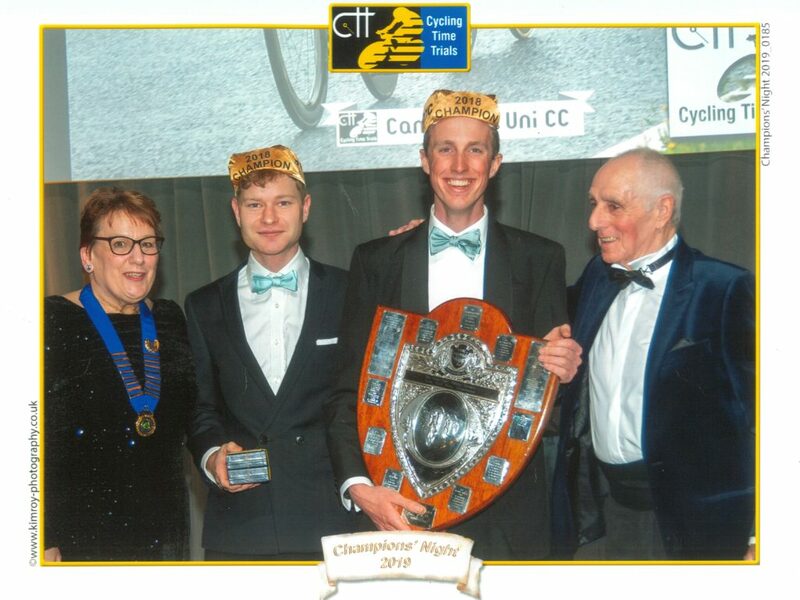 On Saturday the 19th of January was ‘Champions Night’, held at Heythrop Hall near Oxford. 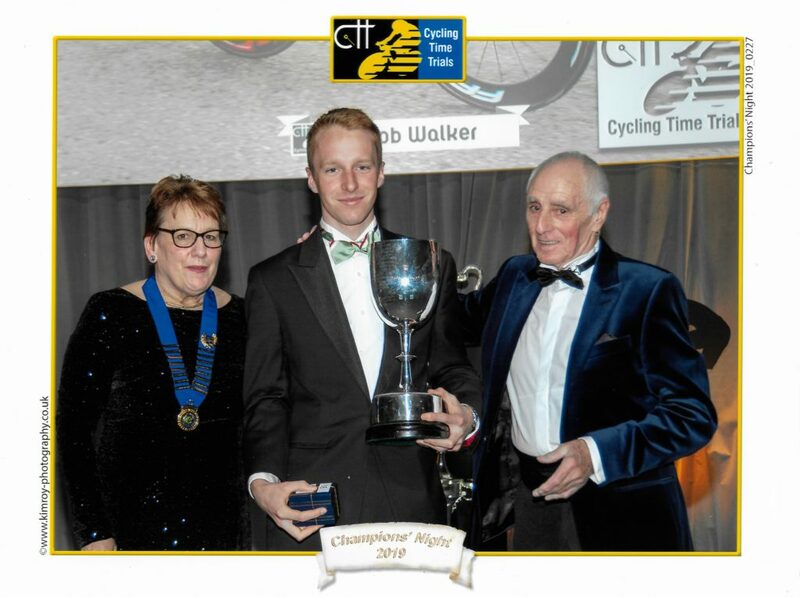 This is the annual awards dinner for time trialling in the UK, and is so called because it celebrates the winners of the various championships , and it happens at night time. This is clever, as otherwise it would be called ‘not champions mid-afternoon’ or something (aka just after lunch every day in Oxford, amirite?). Riders from Cambridge University Cycling Club had one of the club’s best seasons in the national scene for nearly 20 years, and so the club had several people representing them. The master of ceremonies for the evening was Michael Hutchinson (CUCC Blue 1997, as well as over 60 national titles) whose efforts lead to one of CUCC’s last national successes when they won the team prize in the National 25 way back around the turn of the last millennium. Rob Walker received the prize for winning the Espoirs category in the Classic Series, taking home a nice pair of Knight Composite wheels. John Mulvey and Seb Dickson were along to collect their trophy for their National title in the team time trial. Those familiar with this will remember it as a slight debacle, involving rather more of the rule book than anyone wanted to see. A highlight included Seb being reported for not being a member of CUCC (bafflingly), the head of CTT legal then investigating this, and then Seb politely referring him on to the CUCC membership secretary to confirm this. In a plot twist, this turned out also to be Seb. Perhaps understandably, this was not taken as sufficient corroboration! However, the end result was these shiny hats, and who can say no to that? (Seb spilt beer on his within 5 minutes, so his keepsake is now permanently spoilt). Keen bean/ robot that John is, he actually cycled the 90 miles there, only turning up 40 minutes late in the process, (competitive by CUCC standards). CTT loving a late start/sign on as they do (they don’t) this was slightly stressful and he had to get changed in a loo with Seb shouting the countdown theme at him through the door. Felix Barker, the remaining member of that team (also the one that did the vast majority of the work round the course), was unable to attend because he didn’t get his response in on time (also a CUCC trademark). Amazing how they even fought their way out of the womb those two. Seb Dickson and John Mulvey with Alf ‘the King’ Engers- National Team TT Champions! Guest of honour was renowned 1960s and 70s cyclist Alf ‘the King’ Engers, who was the first person to break 50 minutes for 25 miles, although is equally remembered for the number of times the RTTC changed the rules to try and thwart him. At the dinner after the awards ceremony, several alumni came forwards to have a chat, leading to some interesting conversations about times gone by, and the potential for some events going forwards! The next morning, much was made of the free breakfast, including jamming pockets with pastries for ride food. Seb vomited into a bush, John cycled home and Seb and Jack went to Oxford to crash the OUCC club run. Posted in Announcements, Race Results, Time trialling and tagged Champions Night, CTT, TTT.